Two of the songs on the Radha Krishna Temple album (also known as 'Goddess of Fortune') were huge hits on the British charts, and all over the world as well. Featuring George Harrison playing harmonium, guitar and bass guitar / Tamal Krishna Goswami-flute / Harivilas oud / Yamuna, Jivananda, Lilavati, Yogesvara-lead vocals / assembled devotees-vocals, mridanga and kartals. Recordings of Indian Chants from the Radha Krishna Temple from About 1970. For George Harrision fans or Krishna bhaktas... or anyone at all who wants to come closer to Krishna (God.) Originally released by Apple Records. In 1966 His Divine Grace A.C. Bhaktivedanta Swami Prabhupada, with a handful of followers registered the International Society for Krishna Consciousness (ISKCON) at his humble storefront temple in New York's Lower East Side. 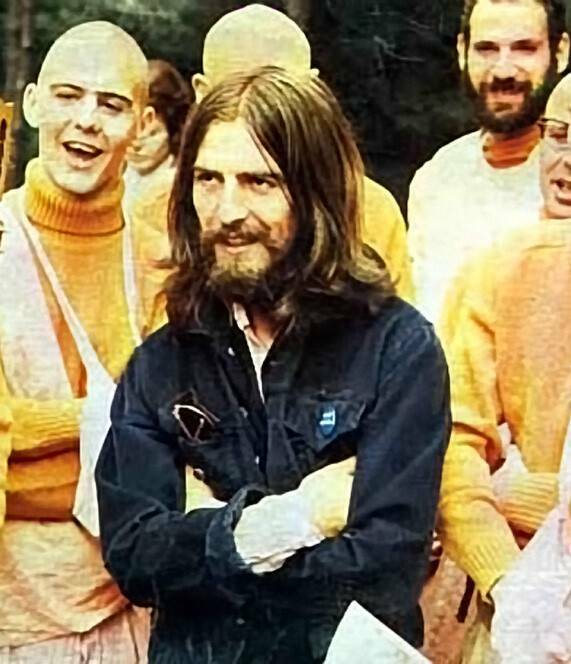 By 1969 the Hare Krishna mantra had spread throughout the western world, and with the help of George Harrison and the Beatles, the recording of the Hare Krishna mantra on this album reached the top 10 in record charts throughout the world. The Hare Krishna devotees were featured three times on the BBC show, "Top of the Pops," and the lead song "Govinda" also appeared on the charts at the same time. The Hare Krishna chant had become a household word in Britain and in many other countries throughout the world. 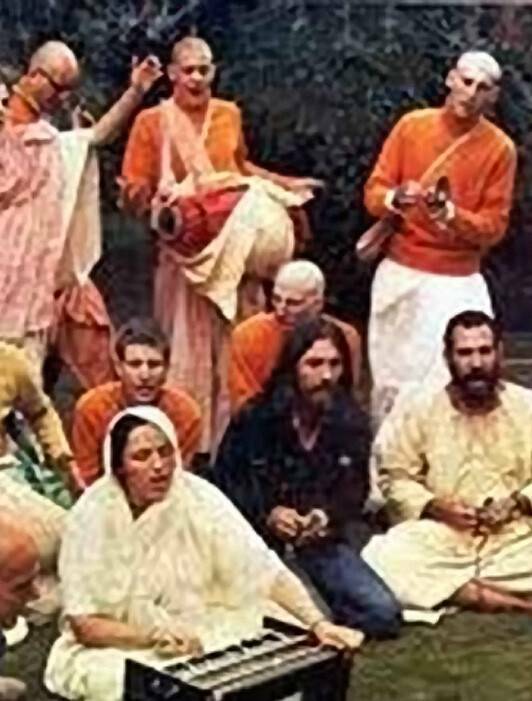 George Harrison played harmonium and dubbed in lead and bass guitar on "The Hare Krishna Mantra" song, and the lead guitar opening on "Govinda." The studio engineers and staff were very enthusiastic and everyone joined in spontaneously for the chorus of "The Hare Krishna Mantra." 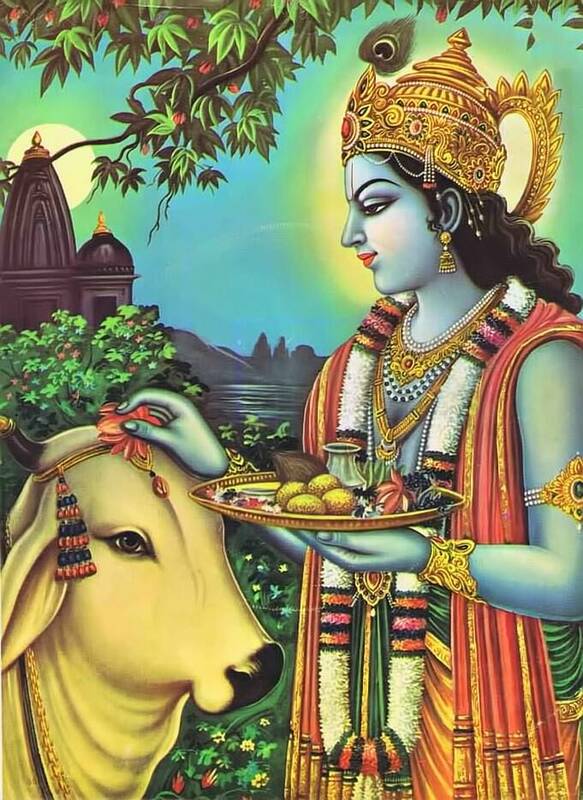 This recording is a milestone in the history of the Krishna consciousness movement in the West. CLICK HERE TO GET THIS CD FREE!